Today is International Charity Day, as established by the United Nations in 2013 in honor of Mother Teresa. I’ve already discussed how expats tend to get involved in their local communities around the world, but perhaps it’s time to revisit the topic. 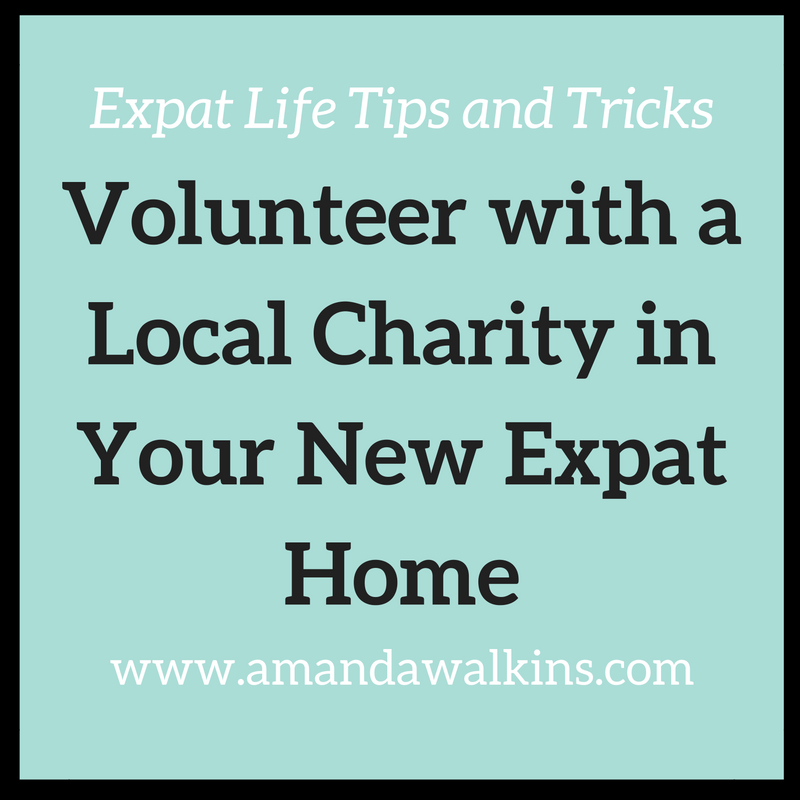 Charity is important everywhere, but getting involved has several specific benefits for expats in particular. As an expat, you need to be proactive in settling into your new community. You need to go out, make new friends, integrate into local culture, and make an effort to better understand your new home. Getting involved in charity work is one of the best ways to do that. Wherever you are in the world, there is an opportunity to do good. You can choose whatever area of need interests you most. Work with schools and education, healthcare, veterinary care, housing and homelessness, drugs, gangs, domestic violence…the list goes on. These are international needs that know no bounds. Wherever you move to, you’re sure to find organizations working to help those in need. It bears repeating that becoming an expat doesn’t make these issues disappear. Moving overseas doesn’t place you into a protective bubble of perfection where everything goes your way. For many people, moving overseas is actually a wake-up call. While all of these issues face our communities back home, it’s far too easy to become accustomed to the problems and to stop seeing the reality. Moving to a new place opens our eyes to seeing everyday things as if they’re brand new. Moving overseas forces us to recognize our own places in this world relative to those around us. Often, this is just the push people need to start volunteering with a charitable organization. For expats in the UK, getting involved in local charity organizations couldn’t be easier. The UK has this incredible system of charity shops, which you’ll notice in every town and city throughout the country. You’ll see signs like “Cancer Research UK” and “British Heart Foundation” over shop doorways. Each of these shops is run by volunteers, with perhaps one paid employee from the organization for oversight and management. All of the items in the shop are donations received to be resold, with proceeds benefiting the individual charity. It’s estimated that charity shops in the UK raise approximately £300m annually. You can choose to shop at whichever location best represents your personal charitable interests. And you can also choose to volunteer your own time at any of these charity shops. When we moved into Edinburgh, I knew I needed to be proactive in making new friends and establishing my own community. I lucked out coming to a country that’s new to me, but where my other half already has a network of family and friends for me to join. Regardless, it’s still important for me to establish myself and to create my own circle. Given the horrible month we had just before moving into the city, I decided to seek out the Edinburgh Dog and Cat Home to offer my services as a volunteer. It felt like a good way to piece back together my broken heart and to try to heal. So, after being in the city only a few weeks, I started working at their charity shop as a regular volunteer. The Edinburgh Dog and Cat Home is the area’s oldest animal welfare organization, originally opening in 1883. For reference, there were only 38 states in the U.S. at that time. It’s a well-established organization. As an independent charity that receives no government or lottery funding, the success of the home depends on the local community’s generosity and support. Retail revenue received through the charity shop is a critical part of their annual fundraising efforts. The shop is so popular, in fact, that a second Edinburgh Dog and Cat Home charity shop will be opening soon! Being a charity shop volunteer is an ideal way to chat with your neighbors, to meet the other volunteers, and to learn more about your new community. Something I’ve discovered in meeting the many other volunteers is a very familiar theme: expats and former expats abound as volunteers in charity shops. Some of these expats don’t have a right to work yet in the UK, especially if they’re trailing spouses. Others don’t speak English as a first language, so the charity shop offers an ideal place to continue to practice their language skills. Other volunteers have recently returned from extended periods living overseas and want to feel connected with their community again. Others work part-time jobs, or volunteer while the kids are at school, or they balance volunteering at multiple different shops to share their time among varied charitable interests. Each of us offers several hours each week to help the shop stay open and to raise funds for the Edinburgh Dog and Cat Home. We do whatever is needed that day, knowing that our efforts help to rescue, reunite, and rehome countless dogs and cats through Edinburgh’s oldest animal welfare organization. It doesn’t take much to make an impact. And, for expats, making a local impact might be just what you need to feel involved and welcome in your new expat home. Wherever you find yourself this International Charity Day, take stock and reevaluate. Do what you can to help your neighbors, whether they’re the same ones you’ve lived with for decades or you’re the new kid on the block. There is always some good you can do. Be proactive and contribute to your local community in whatever way you can. Sign up for my newsletter by entering your name and email address into any of the subscription boxes.